Emily Edwards is a whole-hearted non-profit leader with a lifelong commitment to equity and poverty alleviation. 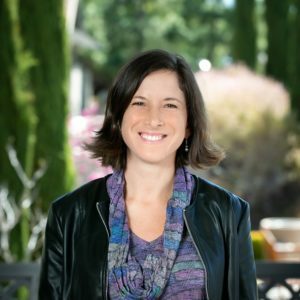 She is grateful for the opportunity to join the DRK team to support the portfolio in their efforts to build successful and sustainable fundraising strategies that are tailored to each organization’s model and unique strengths. Emily dedicated the first two decades of her career to Summer Search, a national youth development organization that envisions a world where young people can fulfill their potential and lead families and communities to thrive. Emily’s interest in working at Summer Search was sparked by her experience attending Central, a Philadelphia public high school, where she watched her classmates break through barriers of poverty, access, and racism to graduate and go onto college. Emily graduated with a BA in African American Studies with a concentration in Sociology from Wesleyan University.